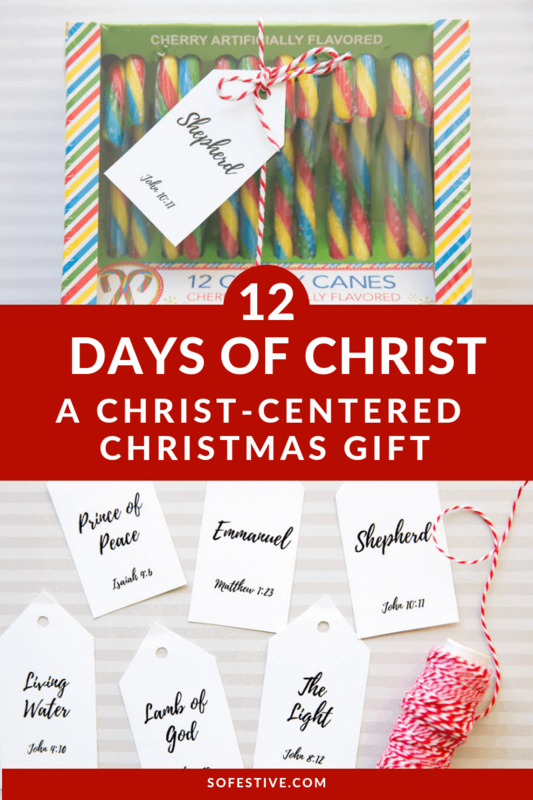 12 Days of Christ- Christ-Centered Christmas Gift Idea - So Festive! Keep Christ in Christmas with this cute 12 Days of Christ. 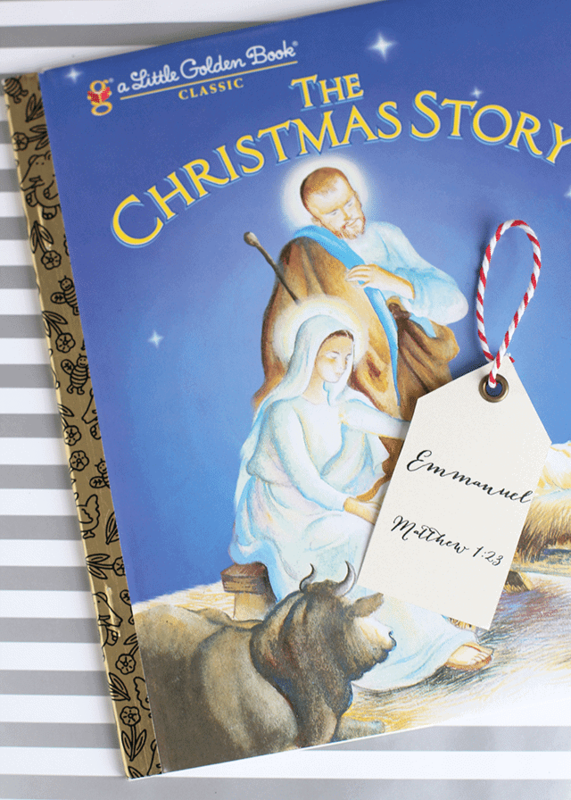 Each day celebrates a name of Christ with coordinating gift idea. I LOVE doing 12 Days of Christmas. 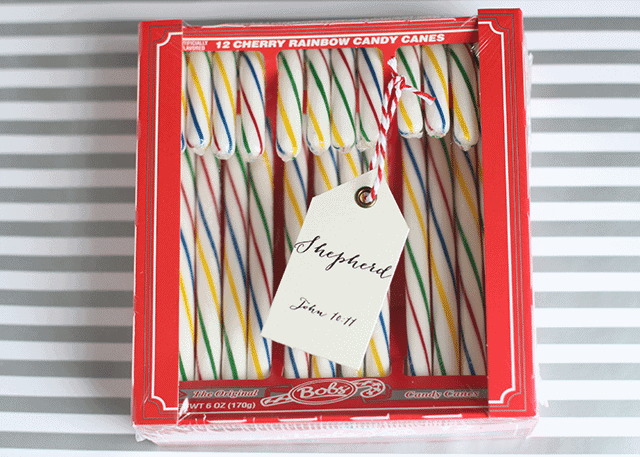 My go-to 12 Days is this Sweet & Simple 12 Days of Christmas (because all the gifts can be found at the dollar store or grocery store) but this year, I decided to create one that focused on Christ to give to my sister’s family. After all, Christ SHOULD be the focus of our Christmas season. That’s why we love doing our 25 Days of Christ Scripture Advent each December. And while all the other fun Christmas traditions and activities are wonderful ways to create memories, having a Christ-centered gift is a just another reminder to all of us what the reason for the season is. 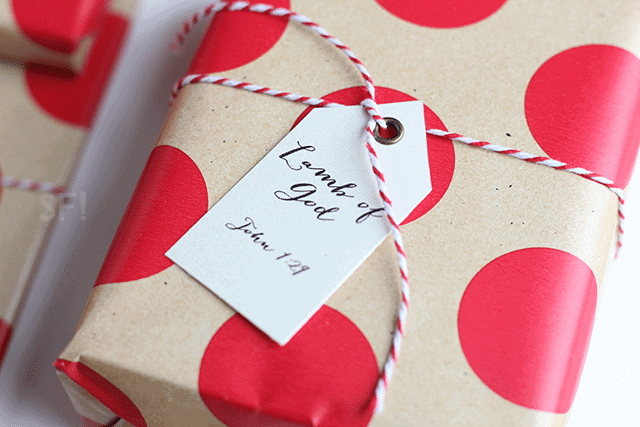 This 12 Days of CHRIST focuses on a name of Christ, a scripture where that name is found, and a gift that goes with that name. My hope in giving this gift was for them to be able to learn more about Christ and have a fun present to remind them of that name as they go throughout the month of December. Some of the gifts are serious and some are more fun. I think a mix is both serious and fun gifts are important, especially when children are involved. But don’t worry, the gifts could easily be switched up to fit the recipient better. I specifically wrapped up the gifts because unwrapping presents is always more fun, right? You could leave them unwrapped and just attach the 12 Days of Christ tags to the gift. Tags with names of Christ and scripture verses where that name is found. Companion cards that explain the name of Christ and have the scripture written out. Starting poem to explain what the 12 Days of Christ is all about! Or you can keep them unwrapped and use just the tags. Ok, so you’re probably wondering what the 12 gifts were? Here’s just a few of the ones we gave….but keep reading because I have more than 12 ideas for you in case some of the gifts don’t fit for your gift recipient. Give your favorite version of the Christmas story. We love this classic version of The Christmas Story found on Amazon. Related: How to Simplify Your Entire Christmas Season! Christ is the Bread of Life. With Him in our lives, we will always be spiritually fed and taken care of. 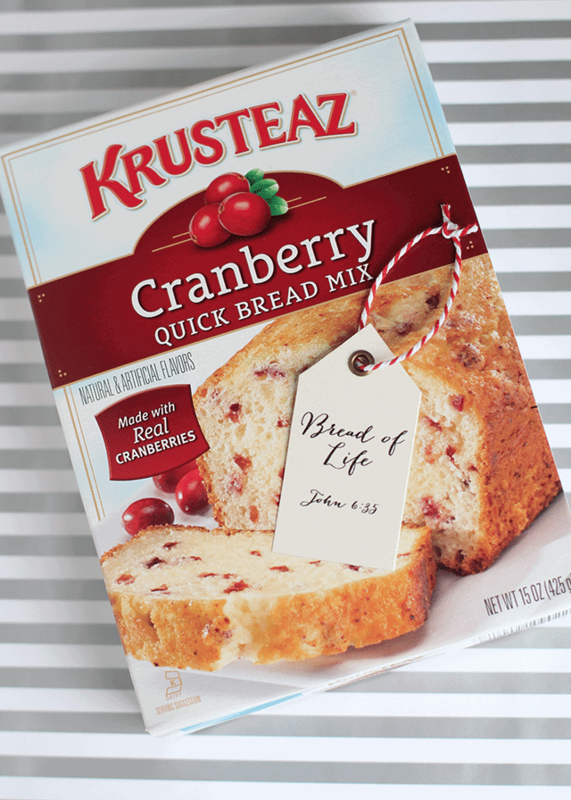 Give a bread mix or a loaf of bread from your favorite bakery. If you have lots of time, make your own mini loaves! Christ is the Prince of Peace because He is the only one that can provide true, lasting peace. 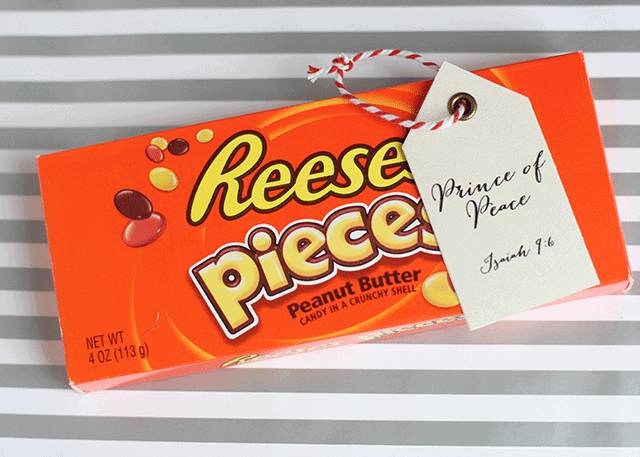 For this gift, Reeses’ pieces for the win! 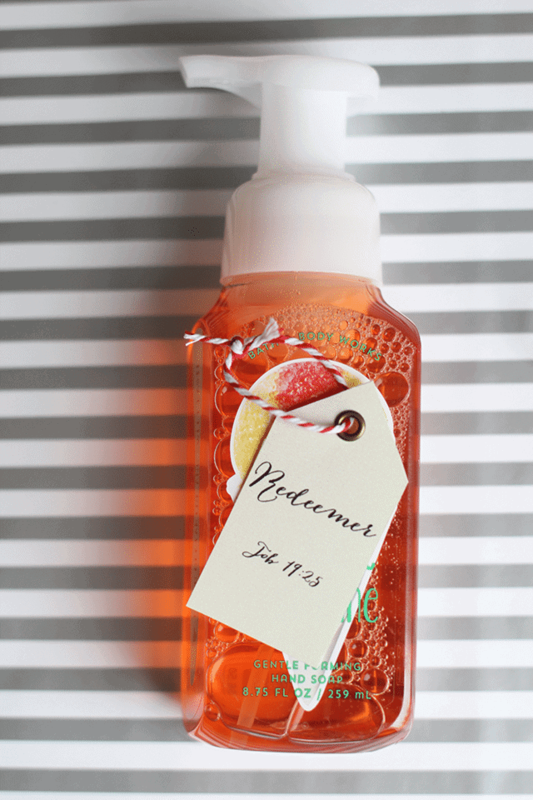 Since Christ is our Redeemer who has washed away our sins through His Atonement, give some hand soap! You can usually find really good sales around the holidays. Christ is the ultimate Shepherd of his sheep, who are US! He cares for each one of us individually. Shepherds use crooks, so give candy canes to represent His crook. Christ is our King and a crown represents a King best. 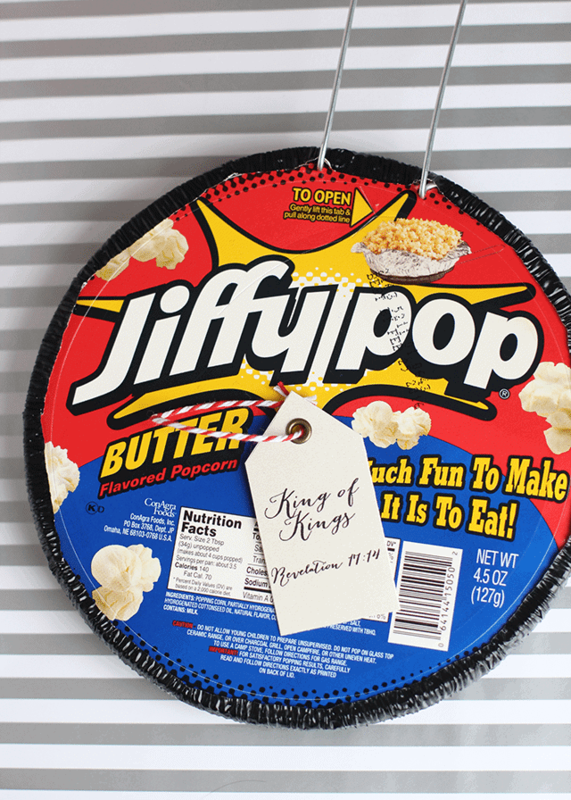 Have you ever popped Jiffy popcorn before? This packages makes a crown when you pop it. Cool and fun, huh? Those were just a few of my favorites. 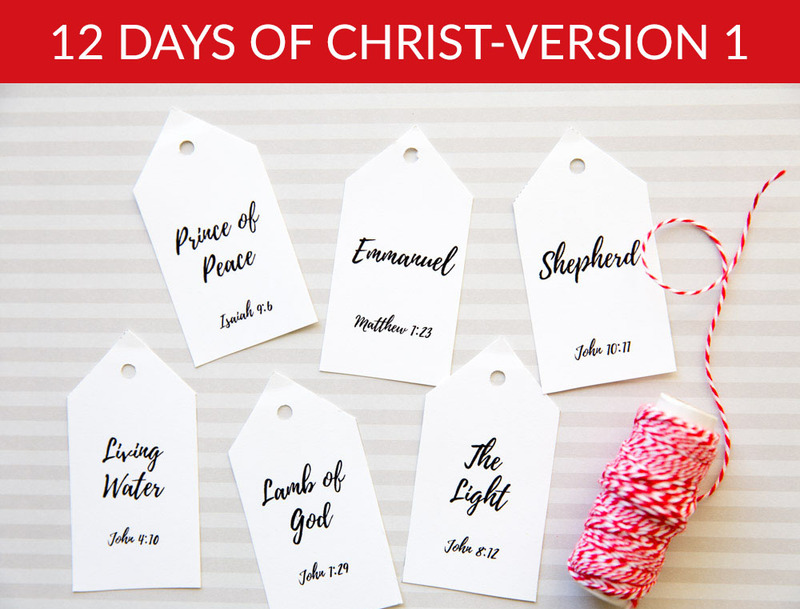 There are 3 different versions of the 12 Days of Christ so you can find the perfect tags for your gift recipient. 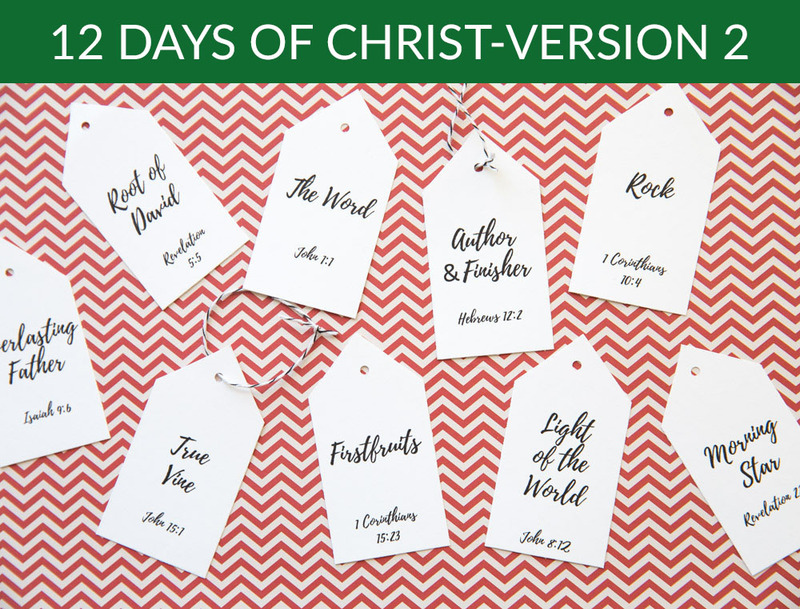 Grab the 12 Days of Christ-Version 1 instant digital download tags here. Version 1 includes the names listed in this post. And if you prefer different names, check out Version 2 with different names and gift ideas here. 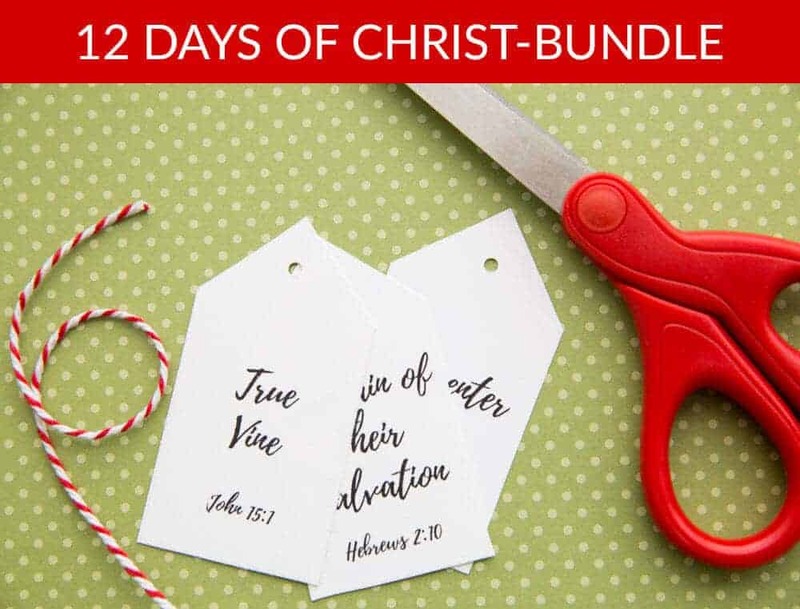 Save big by purchasing the 12 Days of Christ Bundle– includes Version 1, Version 2, plus 9 additional names. And you’ll get 33 companion cards plus the starting poem to give in Day 1 to explain the gift. 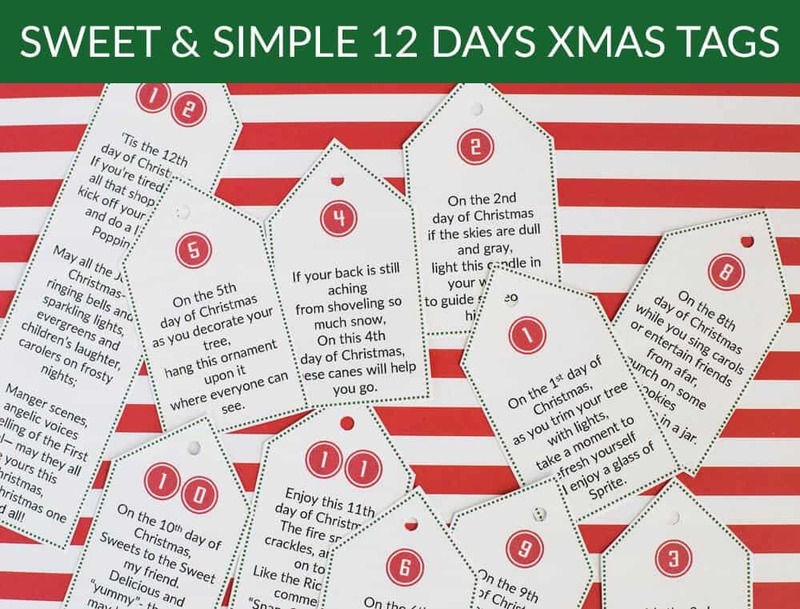 Plus, 12 Days of Christ-Book of Mormon version tags! Do you have a missionary serving for The Church of Jesus Christ of Latter-Day Saints? 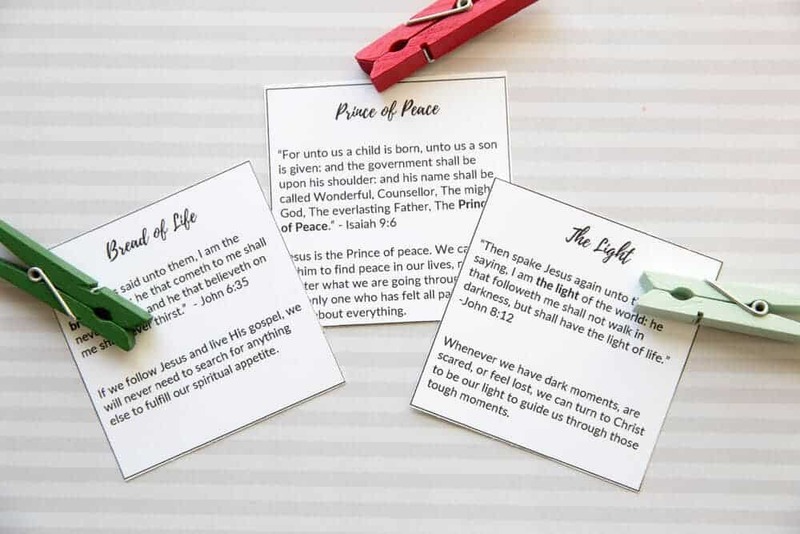 This spiritual 12 Days of Christmas is a simple gift idea for your missionaries serving for the The Church of Jesus Christ of Latter-Day Saints. There are tons of missionary-themed scriptures plus a useful and practical missionary gift to go along with it! Interested in a different 12 Days of Christmas version? Check These Out! 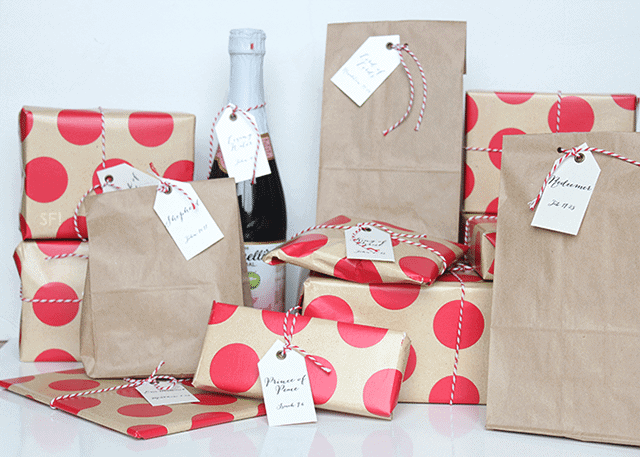 Most gifts can be found at the grocery or dollar store, making this version super easy and great for neighbors, coworkers, widows or friends. This modern and simple 12 Days for Guys includes fun stuff your guy wants, with a poem to go along with each day and gift list. Get all the fun details here. Or get ALL 7 versions for in one bundle here. I’m one of Emily’s friends and we met a long time ago. I found your post about 12 Days of Christmas while on Pinterest because I wanted to do it with my kids this year. We used to do it when I was younger and it was the best! I LOVE this idea about a Christ centered 12 Days! Thank you so much for sharing and for the tags. And where did you get the Nativity finger puppets? And do you have a poem to start this off? Thanks! The Word: a Christmas story, any one you like. Or use this in place of Emmanuel above. I love all these ideas! I had some of these same ideas on version 2: https://www.etsy.com/listing/495783243/12-days-of-christ-version-2?ref=related-1. I’m so happy you enjoy this! Have a Merry CHRISTmas! What is the name of the cursivery font you used on your tags? I absolutely love Sugar Doodle for my Primary needs and Christmas time is the most wonderful time of the year of course, thank you Sugar Doodle! Do you have any alternate ideas for version 1? I think I’d rather do something else for Mediator…. but I’m drawing a blank, and I wish I’d gotten the all three package. Please help! oh, i know its a tricky one! if you want to upgrade your package, let me know and i’ll send you a custom order the extras.